UNIVERSITY of Zambia acting registrar Rodgers Phiri says University of Zambia School of Law graduates top ZIALE performance. And Phiri says the University of Zambia (UNZA) School of Law is still, by far, the premier Law School in the country. Commenting on the depressing 2017-2018 Legal Practitioners’ Qualifying Examinations results released by the Zambia Institute of Advanced Legal Education (ZIALE) on October 19, Phiri stated that UNZA had conducted a statistical analysis of the released results which were independently verifiable. “We have conducted a statistical analysis of the released results which are independently verifiable and public facts. 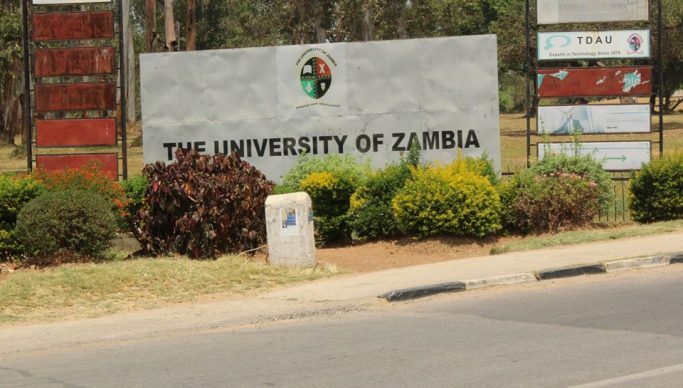 Further, this statement itself is not intended to sensationalise the ZIALE examination results for any gain or advantage to UNZA or its School of Law, but simply to provide the general public and stakeholders with an accurate set of facts on which to base their perceptions,” Phiri stated in a press statement. Phiri stated that by the official count, approximately 379 students sat for the final ZIALE LPQ examinations and that out of that number, approximately only 28 per cent were UNZA degree holders. “Out of the 379 students attempting the examination for the first time, only three students cleared all 10 courses. This translates to an overall pass rate of 0.8 per cent. The fourth candidate mentioned in the press was not sitting the LPQ Examination for the first time. The public may also wish to know that one of these three “first-attempt passers” is a UNZA degree holder,” he stated. He added that despite the raging public debate on the poor pass rate recorded in the 2017-2018 LPQ examinations, what had not been analysed was the performance of the remaining 376 students (99.2 per cent) who did not clear all the 10 courses. “What is noteworthy here is that a staggering 92 per cent of all candidates who passed nine out of the 10 courses examined (that is to say, failed only one course) are UNZA degree holders. 86 per cent of these students were drawn from our main stream and six per cent were drawn from our commercial stream. When one statistically controls for UNZA’s modest ratio of the candidates (28 per cent), the 92 per cent figure mentioned here is far higher,” Phiri clarified. He, however, agreed that it was a well-known fact that “for quite a while now,” only a small percentage of students cleared the ZIALE LPQ examinations on their first attempt. “Over the last few years, the percentages of candidates who clear the programme on first attempt have ranged from 0.8 per cent to five per cent .What is not of public notoriety is that a far much higher percentage of candidates clear the ZIALE LPQ examinations on the subsequent attempt, which typically occurs about two months after the initial results are released,” Phiri stated. And Phiri stated also that ever since private universities gained admission to ZIALE in 2010, UNZA has always shared the “first-attempt passers” with other universities. “This is therefore not the first time, by any stretch, that a non-UNZA student has passed the ZIALE LPQ examinations on the first attempt. In fact, in 2011, which was the very first year that private university students were among the candidates examined, three out of the eight candidates that passed on the first attempt were non-UNZA degree holders,” Phiri recalled. He recognised the “critical role” that private universities play in the democratisation of legal education in the country. “Due to the entry of private players, the study of law has been liberalised and access to the profession has dramatically increased. This is something we are proud of and strongly support. Due to the serious challenges we have faced and continue to face, UNZA is unable to meet the growing demand for legal education. In this regard, we view private universities as partners and not as foes,” he stated. Meanwhile, Phiri stated that the UNZA School of Law led in research output. “The UNZA School of Law is still, by far, the premier Law School in the country. It leads in the education level and international standing of its teaching complement, it leads in the overall performance of its graduates at ZIALE. It leads in the provision of quality legal education. We also wish to state that despite the challenges faced by the UNZA School of Law remains committed to providing first class legal education, and to preparing its students for the legal realities of a globalised world,” stated Phiri.